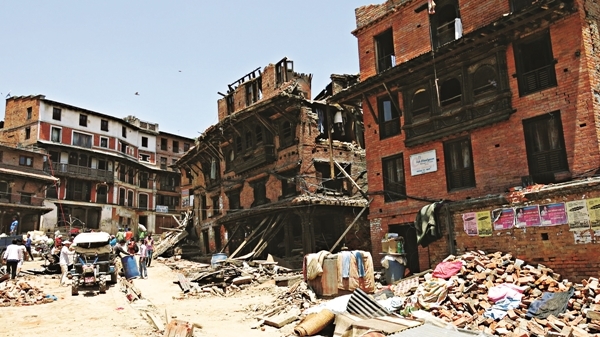 Documenting the gruelling aftermath of the two disastrous earthquakes that hit Nepal, Earthquake: Disaster in Nepal will feature expert interviews and seismic simulations to explain the science behind the earthquakes. It will also show footage of rescue operations and first-hand accounts ofA� survivors while the highlight is how an infantA� survivedA� under the rubble for 22 hours. June 8 at 9 pm on Discovery Channel. Season three of Hannibal will premiere along with the first telecast in USA on Sony LIV. Expected to be different from what we last saw, this season will reveal what happened to criminal profiler Will (Hugh Dancy) and agent-in-charge Jack (Lawrence Fishburne), after Dr Lecter (Mads Mikkelsen) unleashed his anger on them. The following episodes will be telecast on AXN. At 7.30 am, today on Sony LIV. The Jinx is a six-episode documentary exploring the life of real estate moghul Robert Durst. The key suspect in a series of unsolved crimes, including the mysterious disappearance of his first wife Kathie, the show is directed by Andrew Jarecki with Durst playing himself and Gary Napoli filling for earlier portrayals. Catch episodes one and two on June 9, at 10 pm on HBO Defined.